A new version of my Unimog, features drive, steering, outriggers, suspensions, pneumatic arm with rotating superstructure. Designed for Exhibition Fana’briques 2010. 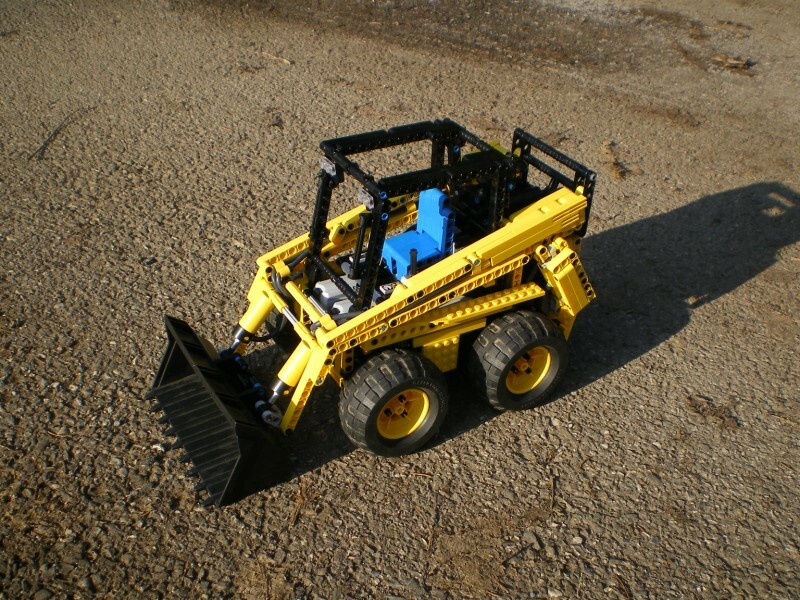 A PFS crawler loader, with drive, lifted and tilted pneumatic bucket, thanks to Sariel’s autovalve. Including building instructions. 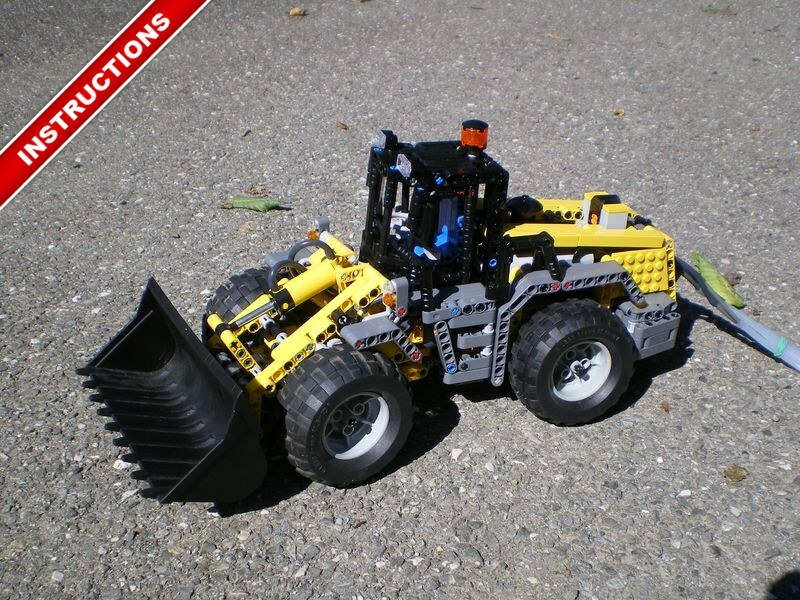 A skid steer loader, or rigid loader. 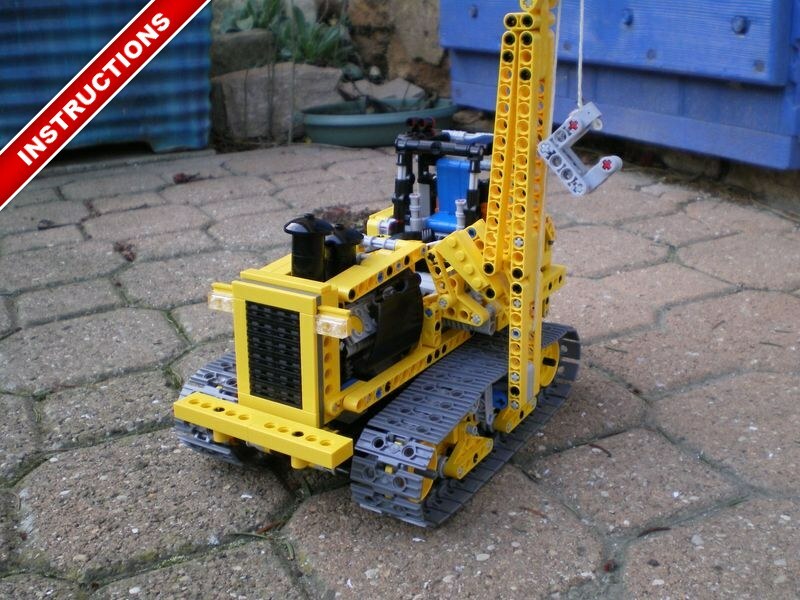 Features drives and steering, and operated bucket (rising and tilting). The wheel excavator. Features drive, steering, rotating superstructure, digging arm (with 4 movements), front blade and rear stabilisers. Designed to propose an alternative to expansive FSB02, including building instructions. 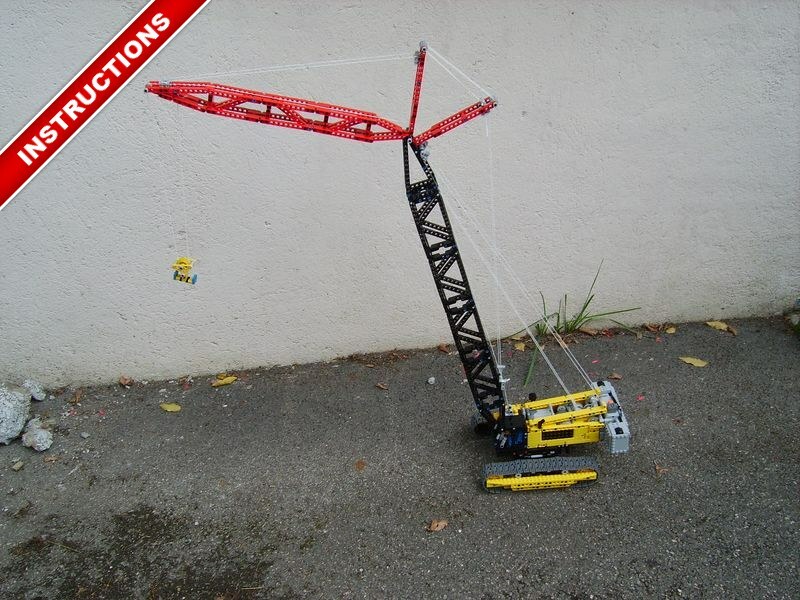 A crawler crane, equipped with rotating superstructure, main boom, auxiliary jib and winch. Powered by PFS and including building instructions. 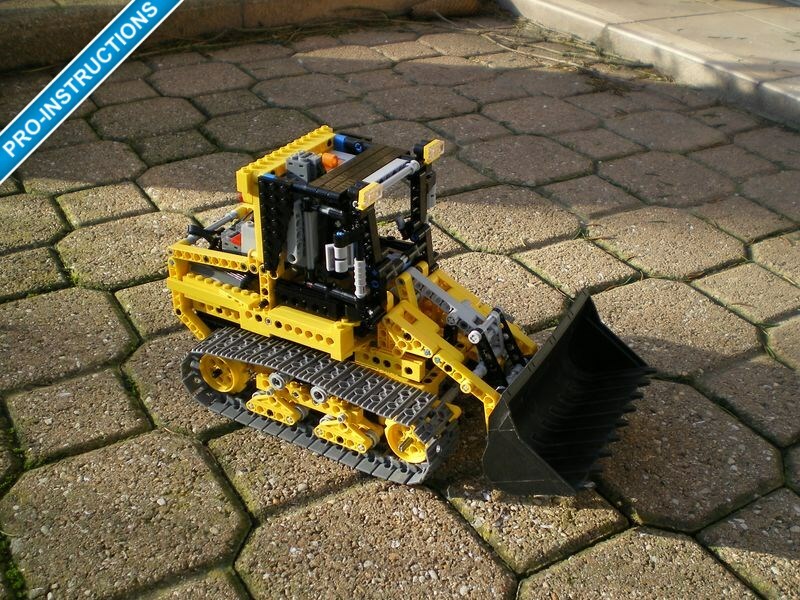 A bulldozer with autovalve, equipped with drive, lifted and swiveling front blade thanks to pneumatic autovalves. Including building instructions. My most famous loader. 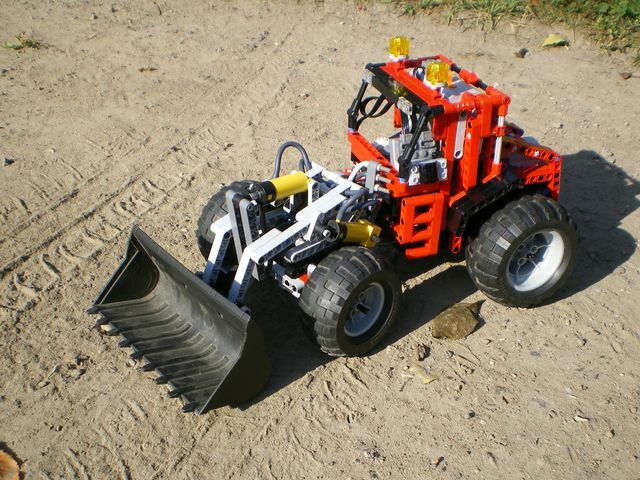 Features drive, steering (with steering wheel), lifted and tilted bucket. Including building instructions. 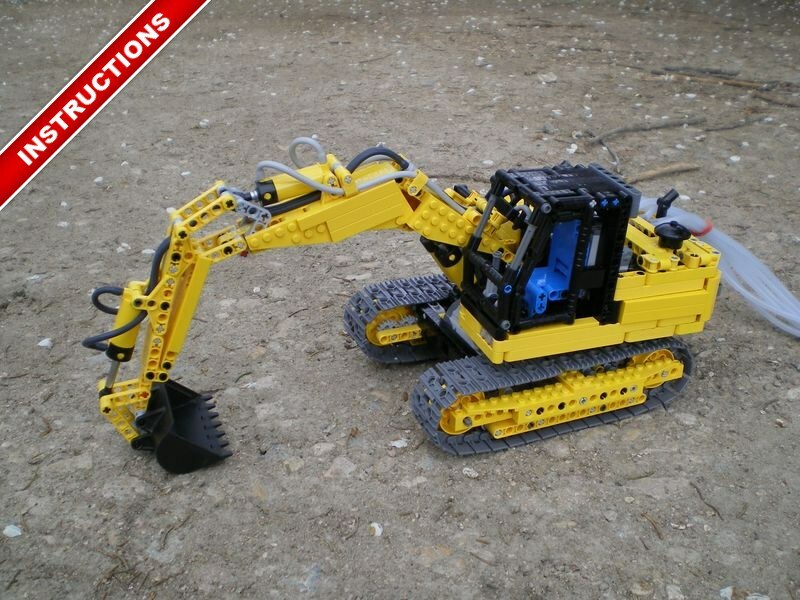 A second excavator, equiped with drive, rotating superstructure and pneumatic digging arm. With a new better design. Including building instructions. 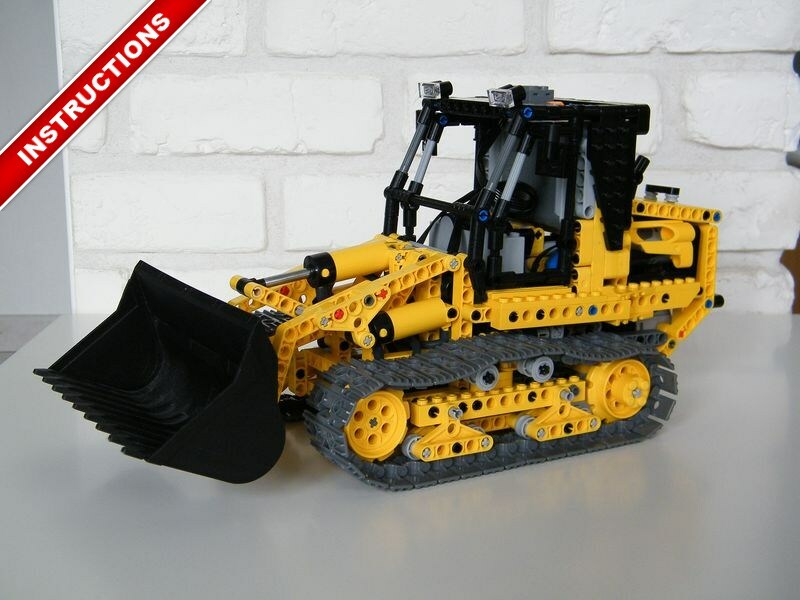 A second one set moc from 8275. Including building instructions. 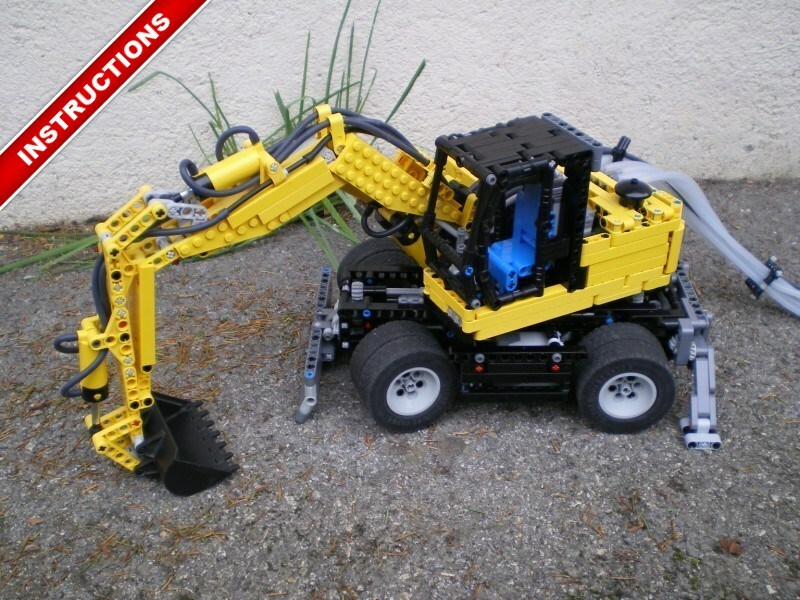 My first excavator ! Equiped with driving, rotating superstructure, internal compressor and 3-sections pneumatic digging arm. 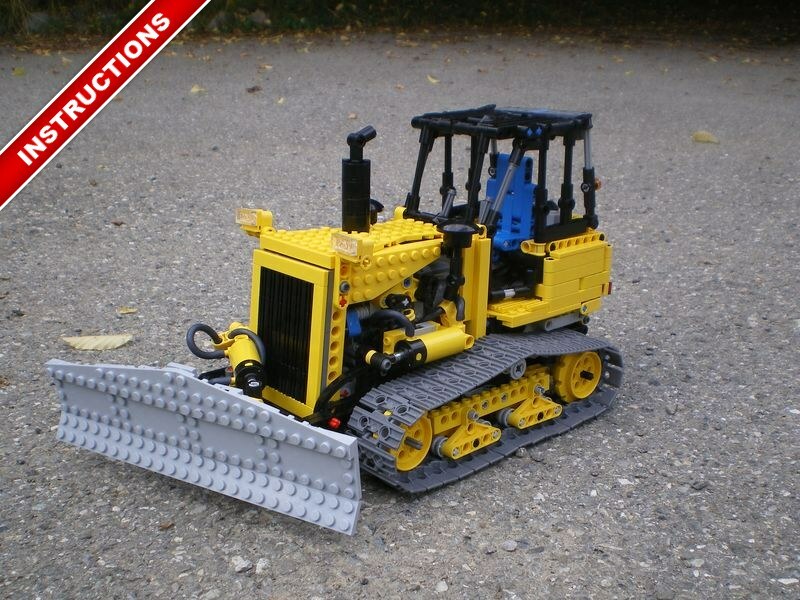 My favorite One Set MOC from bulldozer 8275 I created. Equiped with drive, tilted and lifted bucket, only with part of 8275. Including MLcad building instructions. I have forgotten to talk about my first loader : a pneumatic wheel loader, with steering and pneumatic arm.